Priest: Rev. Alex. Martin, S.J. [S00131] 1880 United States Federal Census, Ancestry.com and The Church of Jesus Christ of Latter-day Saints, (Ancestry.com Operations Inc, 2010), [database online]., District 718, Boston, Suffolk, Massachusetts (Page 28 of 59). 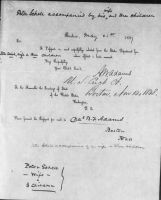 [S35] ANCESTRY.COM - U.S. Passport Applications, 1795-1925, ancestry.com, (Ancestry.com Operations, Inc., 2007. 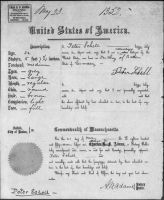 ), [database online]., SCHELL, Peter, 23 May 1857. 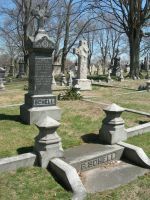 [S00123] SCHULER, Michael Personal Photo & Document Collection, Michael Schuler, Mount Calvary Cemetery Records .